You can save $25 by registering for the Academy’s Summer Marching Academy leadership camp by May 16. Advance tickets are now on sale for the Blue Devils organization’s Family Day Preview show on Saturday, June 13, in Pittsburg, California. Blue Devils B’s “Prismatic” production will feature works by classic rock band Rush and singer-songwriter Imogen Heap, among others. Blue Stars revealed a fresh set of graphics applied to the corps’ brand new equipment trailer. On the corps’ first day of spring training, the Cadets introduced us to third-year color guard member Zoe Giordano in a new video posted to Facebook. The first spring training photos of Carolina Crown’s percussion line are in. The Columbians are recruiting volunteers for the Drums Along the Columbia DCI Tour event on Monday, July 6. Gold posted a video last weekend wishing moms everywhere a happy Mother’s Day. Jersey Surf color guard captain Kayla McCaney is the recipient of the corps’ 2015 Doris Butler Memorial Scholarship. Legends members Alex Queen is the recipient of a scholarship for marching cymbal players. 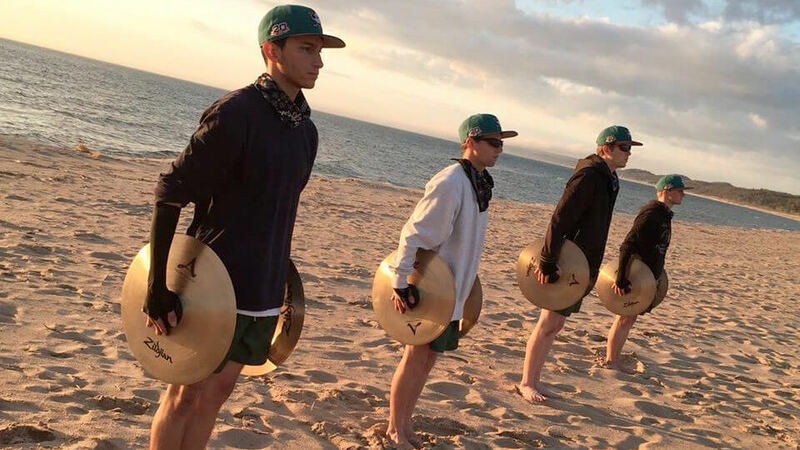 2015 will mark the return of the Madison Scouts cymbal line. The four-member group recently got an early jump on spring training rehearsals on the shores of Lake Michigan. Mandarins’ 2015 production “Resurrection” will bring Chinese Emperor Qin Shi Huang’s Terracotta Army to life. Tickets are now on sale for a sneak preview event that combines some of Southern California’s most popular gourmet food trucks with performances by Incognito, Watchmen, Impulse, Gold and Pacific Crest. It all takes place on Saturday, June 13, in Hacienda Heights, California. Phantom Regiment’s 40th annual Show of Shows DCI Tour event will feature a number of special homecoming gatherings for the corps’ alumni. Raiders member Michael Sasson is the recipient of a scholarship for marching cymbal players. Getting ready for its debut in DCI’s Open Class in 2015, Southwind posted a video with highlights from the corps’ latest rehearsal camp. Members of the Vanguard Cadets performed outside San Francisco City Hall this week as part of a General Motors international car dealer event.